Traditional two-axis machining has been used to cut objects in the molding industry for years, but five-axis machining has become a popular production technique among manufacturers. Two-axis machining allows objects to be modified on two coordinates, which limits the use of this technology to flat-surfaced objects. Five-axis machining, however, allows objects to be modified on five coordinates. This allows for the creation of multi-dimensional products at a much quicker rate. Traditional two-axis machining is advantageous for the creation of simple objects, but five-axis machining has allowed for the creation of more complex, intricate parts. Five-axis production takes less time, is more accurate, and allows the manufacturer to create the object using one single step, without manually rotating and resetting the object for every step. 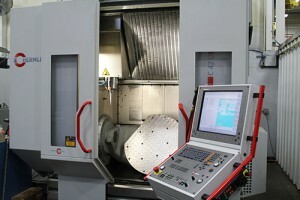 Five-axis machining is ideal for manufacturing medical parts, aerospace machining, and other complex items. In the molding industry, an undercut is a protrusion of the new object that will prevent it from being withdrawn from the mold. In order to successfully eject an object with an undercut from the mold, the manufacturer must create a side pull, which is a third part of the mold that must be removed when separating the other two pieces of the mold at the end of production. 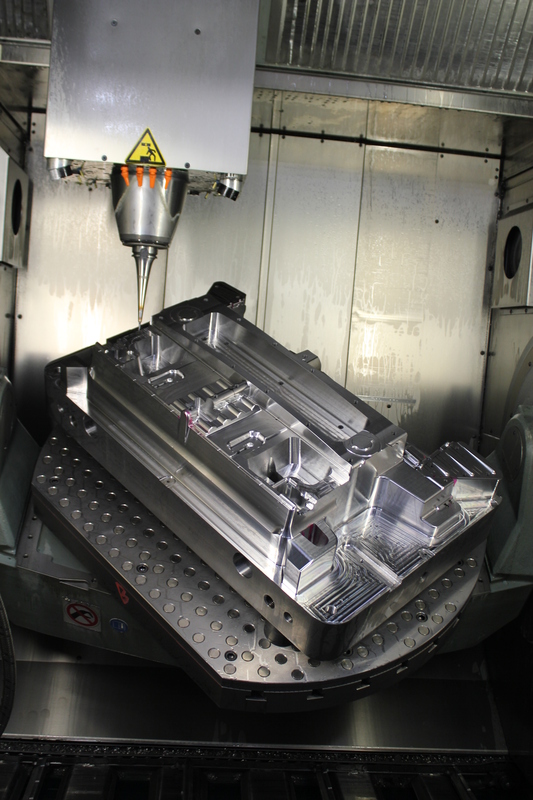 Creating a side pull in the mold can increase the cost of the part since it requires the use of a more complex mold and a more advanced machine. This is when five-axis machining is most beneficial to manufacturers. It has the ability to create more complex objects that have undercuts or multi-dimensional shapes. Five-axis machining allows for deeper, heavier cuts while reducing the production time. The entire object can be produced in one step. Complex medical equipment and aerospace machining are just two types of objects that can be created quickly and efficiently utilizing the new technology. While two-axis technology is still relevant and useful for many manufacturing processes, manufacturers are still finding even more uses for five-axis technology, allowing for its application in more complex industries, from aerospace machining to industrial production. For more effective metal removal, consider five-axis machining.